Cost of Installing Hardwood Floors: Whom to Entrust Your Project? Before you calculate and include the cost of installing hardwood floors in the overall expenses of your project, you need to know in advance who will do the job – the hardwood floor installation company, self employer floor installer or yourself. The difference in the cost of the project will be significant in any case. If you love to do all kinds of work in the house and have some experience, you certainly can try to install the floor yourself. In this case, in the cost of installing hardwood floors you will need to include the cost of materials, a set of necessary leased tools, and your spare time. To manually install a hardwood in your home, you still need to know not only how to perform this work (I mean the method of installation). You have a good understanding of the types of hardwood and kinds of wood. For more information on how to install hardwood floors yourself, you can find several articles on this site. Inviting a professional company for your project, the cost of installing hardwood floors increased almost twice compared to the cost of materials. Sometimes, this cost may be more. 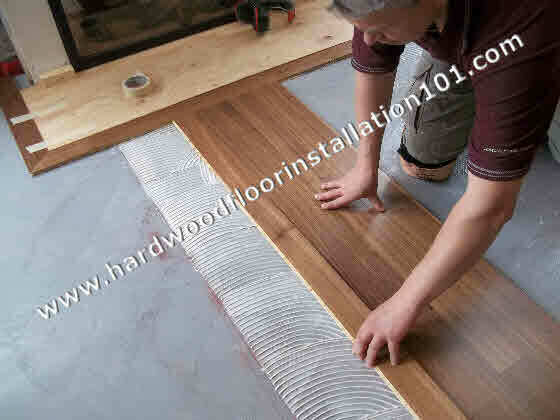 It all depends on the quality of wood, hardwood type and method of installation. In addition, the company will always insist on a good leveling your subfloor and this work is well worth a certain amount of money. I would recommend you listen to the opinion of the representative of the company and not to save on leveling. This is especially true when you want to install expensive hardwood – $ 8 per square foot and more. What is the advantage of working with a company engaged in the hardwood installation and how to choose it? First, you can choose a company with good reputation. To do this you need to hire a company that has at least 5 years experience in hardwood floor installation. Why five years? Because during this time this company was able to survive in the market. Second, a licensed company has insurance to cover all types of installation work. This means that if its floor installer allow any mistakes during installation, his job will be fully covered by insurance companies. If you decide to hire a floor installer, who works as a self employer, you can save a little on the cost of installing hardwood floors, as its prices slightly lower than the company that has a license. Actually he is already working on any company and in addition may take private commissions, such as yours. 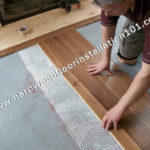 Good floor installer usually works on the recommendations of its customers. If it installs hardwood for 5 years or more, you can safely entrust your project to him. So, to accurately calculate the cost of installing hardwood floors, you must first prioritize. Think about what is more important: the beauty, the quality, and guarantee your peace of mind, low cost of the project, self-esteem (if you do all the work yourself). About installing hardwood floors read our other posts and articles on this website. Hardwood Floor Repair: Which Techniques Should You Use?